Loadie has launched it’s first competition today, to encourage customers to test out the new platform. For people who aren’t aware, Loadie is an online and mobile marketplace that connects customers who have unfulfilled loads with vetted and rated drivers across the UK. With a speciality for same day and next day deliveries, Loadie is the ideal platform for businesses in the era of ‘the amazon effect’. What’s so great about Loadie? Unlike other exchange platforms, Loadie is completely free to use (as well as having state of the art location, tracking, notification and payment technology!). The only price customers pay is the one they set themselves for the job. 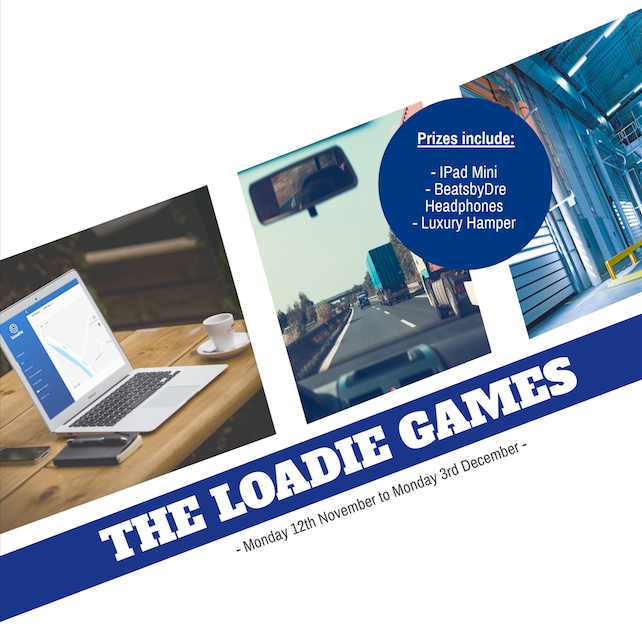 THE LOADIE GAMES is our new incentive, which allows customers to win prizes for uploading jobs onto the customer management system (CMS). The person who has uploaded the most successful jobs** by Monday 3rd December has a choice of a number of great prizes including a luxury hamper and BeatsbyDre headphones. The Loadie Games incentive is from 8am Monday 12th November to 8am Monday 3rd December. Any uploads out of this time won’t be counted. The winner will have a choice of prizes: iPad Mini, BeatsbyDre Headphones and a Luxury Hamper. The prize will be shipped to the winner once selected. There is a minimum requirement of 3 jobs throughout the period. The jobs must be accepted by a driver and completed to be classed as successful and counted into the prize draw. In the instance of a draw, the competition will continue for 7 more days, and so on and so forth until a winner is selected.